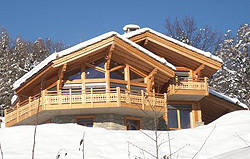 Alpine Property Investments are pleased to offer a fantastic range of ski chalets available to purchase throughout the Swiss and French Alps, in a wide number of different alpine ski resorts. 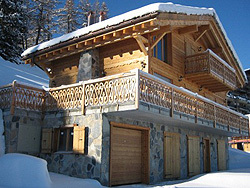 As well as listing a comprehensive portfolio of both new build and resale ski chalets for sale, that can be seen through our Search facility, our personal and tailored service, backed by excellent local knowledge and experience in the different locations, ensures we are here to help you make that informed decision, based on your specific requirements. This ensures that you don’t waste any time and get the dream chalet you are looking for. Once we have this information we can make suitable recommendations of where we suggest looking, to help you narrow your search. For visits to look at ski chalets for sale, it is always best to have a specific resort in mind, or only a small selection. Our Resort Guides provide a comprehensive overview of individual villages to help you in your search. 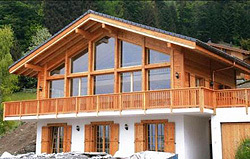 In Switzerland it is only possible to purchase chalets in certain touristic areas and to certain sizes. 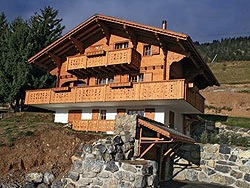 Only re-sale chalets owned by a non-Swiss that have a “Foreigner Permit” may be sold to non-Swiss Residents. Please refer to our Switzerland Country Guide Section for more information. 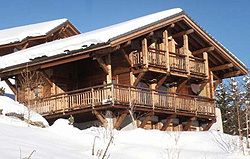 In France however there are no restrictions on where you can buy a chalet and re-sale chalets may also be easily purchased. All new build chalets for sale listed in the Search Facility, are only constructed to the highest standards by handpicked, reliable and trustworthy constructors and builders, who have a proven track record of building in the mountains. Many of these constructors have been building for more than 25 years, while some are family businesses that have been building for several generations. Buyers of new build chalets often have the chance to design their own chalet, or make internal modifications to existing plans to suit their requirements. Choosing their own kitchens, bathrooms, flooring and tiles to create the ambience they require, is also common. 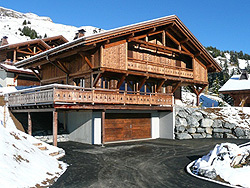 Ski chalets for sale can vary in design from the traditional to modern and contemporary. Regional variations of materials might also see combinations of natural stone, old wood or larch wood used. We have already helped a huge number of clients find their perfect ski chalets in France and Switzerland, now let us help you.